As my husband and I are going through our second full watch of Star Trek as a couple, I thought it would be fun to report on the highlights along the way. So I decided to copy the same format as Charlene. See her favorite episodes of Deep Space Nine Season 6. 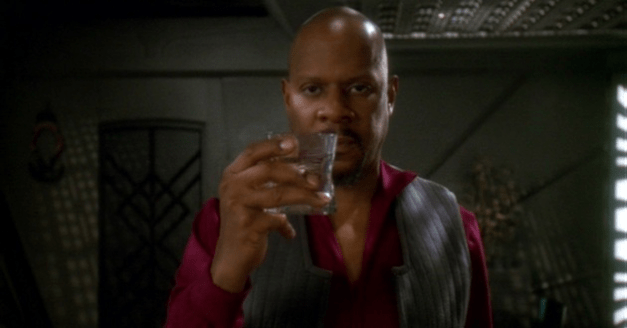 I seriously can’t believe that my last Star Trek recap post was in October! Timeless, Agents of SHIELD, Designated Survivor, and basketball season seriously slowed my Trek viewing down! Also, stay tuned for my Voyager season four recap coming soon! 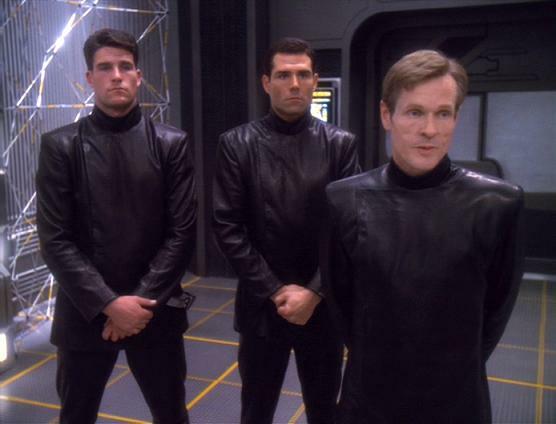 I think I mostly like this episode because it sets up the future of Sloan-Bashir and Section 31, including an episode next season I really love, Extreme Measures. Every time I see William Sadler, I think of his role of Sloan first. 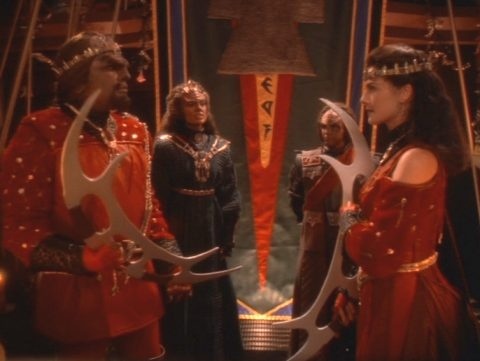 Before she can marry Worf, Jadzia has to prove herself worthy to become a member of the House of Martok. But the real gem of this episode is Bashir and O’Brien suffering through Worf’s “bachelor party.” My favorite thing is when Bashir has a “vision” that he’s going to kill Worf. 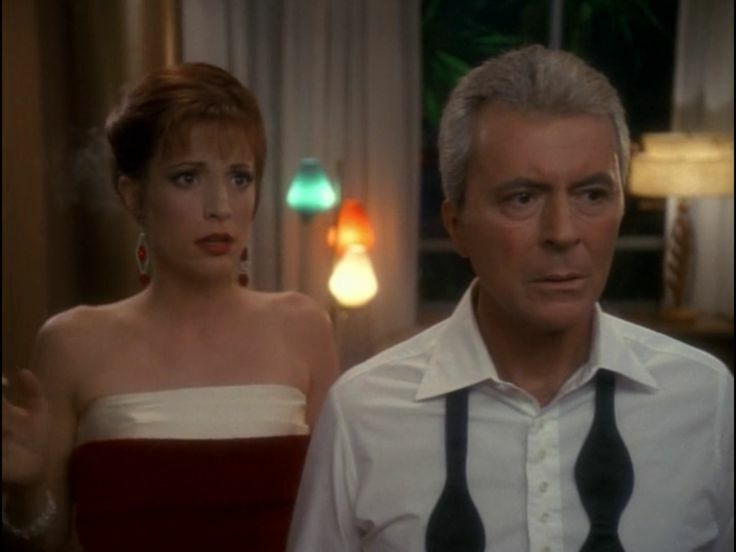 Odo and Kira… blah, blah, blah… That’s fine, but for me this episode is about Vic Fontaine! I love the introduction of James Darren’s character and look forward to more Vic moments in season 7! This episode has a little bit of everything… It’s fun to see our usual characters playing different roles. It speaks on the power of storytelling. And it has a powerful message about racism. This commentary on morality in war and those gray places we can find ourselves in make this one of the most compelling episodes of Star Trek ever. 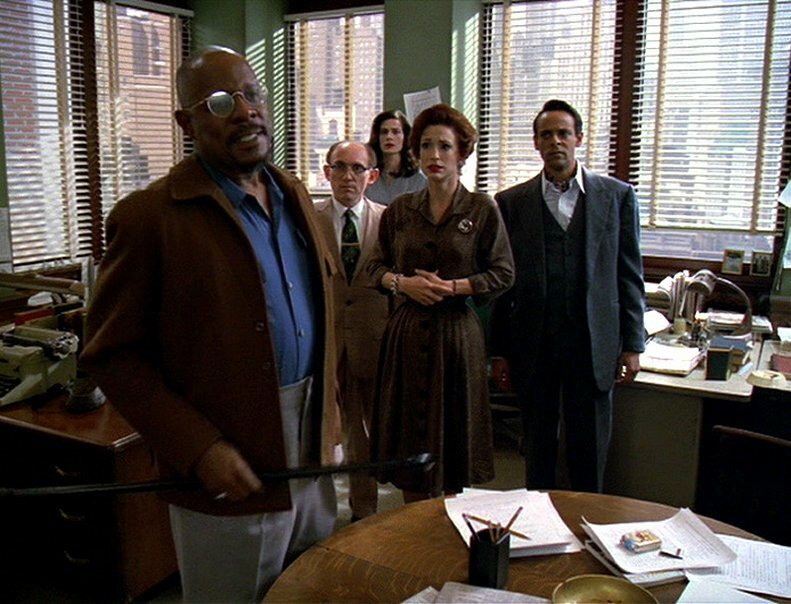 What are your favorite episodes of Deep Space Nine, season 6? Good list and nice new site. My list would probably include the episode where they retake DS9 and the one where Bashir meets other genectically engineered folk. I do agree with you on “Profit and Lace”… that definitely didn’t work. Thanks! And I agree those are also good episodes. Ah I just started watching Enterprise again, so I’m hoping to get back on track with my recaps. Nice to see your post today and know that you are keeping up with it too! 🙂 I’m glad to see we matched on three of our top 5. They did have some interesting and unique episodes this season! Glad you’re getting back into Enterprise! I know it’s a slow start, but season three is really good! I’ll be looking forward to your recaps!